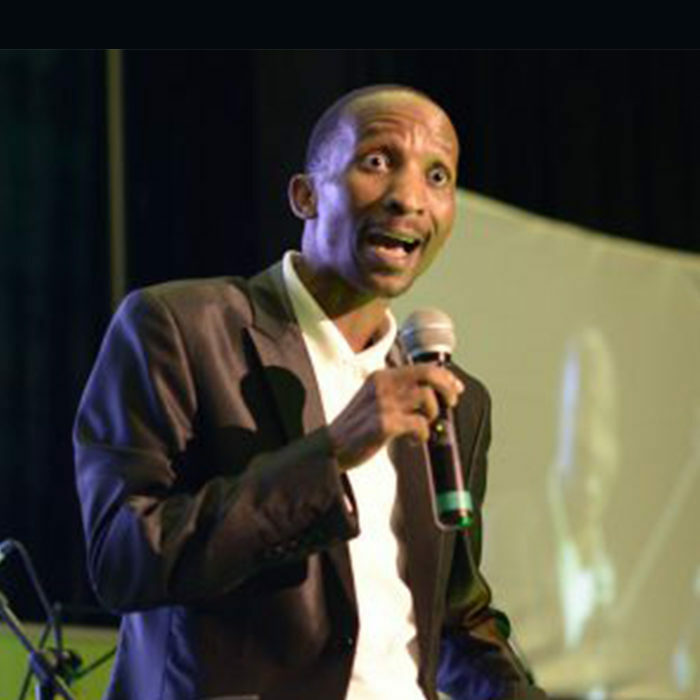 Phenyo "The Master" is definitely the funniest and most active comedian to come out of Botswana. Phenyo "The Master" is to his core a creative comedian and his creativity shows in his material. His fans has called him "The Master" and people refer him as a creative comedian who has exceptional presentation abilities and powerful communication skills. Phenyo was recently featured on Botswana Television (BTV) morning program and his versatility and experience has served him well in show business. Always making sure he gives his best, in 2015 Phenyo "The Master" got a standing ovation with his first appearance in South Africa. He was also invited as one of the chosen few Africans to represent Botswana at the biggest comedy awards in Africa in 2016, the Savanna Comic Choice Awards. Phenyo “The Master” has shared the stage with top international comedians and has performed all over Botswana as well in South Africa, Namibia, Swazilaland, Zimbabwe and Lesotho. He always brings clean, high energy, fun and clever comedy to any stage ranging from the absurd to the ridiculous and unbelievable.